The clarinet sound has been described in many ways through the ages. 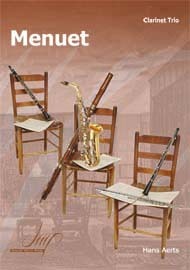 From the piercing almost brass sound of early clarinets to the rich and mellow sound that so entranced Romantic composers, the clarinet family encompasses the full range, and the B flat clarinet alone can travel from shrill brilliance to earthy resonance in a single performance. The clarinets of the 18th century were renowned for their hard and shrill sound, and parts written for it were similar to the trumpet to take advantage of this (the name clarinet – little clarino or little trumpet – comes from this time). By the middle of the century, the clarinet had taken the place of the clarino (high trumpet) in orchestras and many bands. With the innovations that came during the 18th century, the clarinet was losing its shrill sound, developing a mellower and expressive tone, often described as more human like. In his ‘Ideen zur Ästhetik der Tonkunst’ (1784/85) Fr. 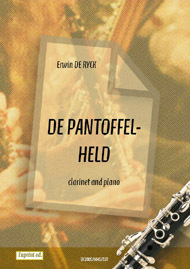 D. Schubart described the clarinet’s timbre as “sweet”, “yearning” and “emotion melted in love”. With the development of the sound of the clarinet, certain sound combinations have come to be traditionally favored by composers when writing music featuring the clarinet. When the clarinet is playing in the high register along with a trumpet it produces a bright and brilliant sound. The clarinet also combines well with the horn, though it is usually not paired with the trombone as the sounds do not fit well together. 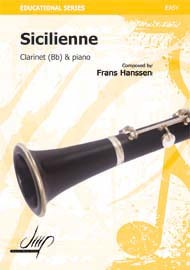 Another favored use of the clarinet is to combine it with the soprano or alto voice, especially when writing for opera. The sound of the clarinet works especially well when either playing in unison with the singer or an octave lower, when it is often joined by the viola.